Europe has a lot to offer to people looking for horse riding holidays. They allow visitors to discover the continent on horseback, which is the best way to explore different regions and countries. It provides tourists a point of view that is not experienced by everyone. Spain is one of the best horse riding destinations in Europe. It has a good climate suitable for such activity and they have a great tradition of horses. Travellers return to the country to experience it on the back of the horse. People can take horse riding holidays in some of the regions of mainland Spain as well as in the island of Mallorca. Catalonia trails are for good riders as they head down to the beach. Andalusia offers several trails such as the Andalusia of the Moors, Tabernas Desert Route, and the Alpujarras Trail. France. Horse riding holidays in France features riding from one historic village to another as well as staying at a different hotel at night. They are several areas of France that you can choose to go. Languedoc-Roussillon provides visitors the chance to learn how to be a cowboy the French way. Visitors take part in trail riding, cattle work as well as team penning. The area also includes the Carcassonne Pyrenean Trail, a week long train that has wonderful scenery all throughout. Dordogne is for people who want to stay at one place and ride out each day. If you love wine and horse riding then head to Bordeaux. It has the Bordeaux Wine Trail that takes riders on a tour of vineyards. It involves sampling wine along the way. Italy. If you want beautiful landscapes, good horses, and lots of wine, then Italy is your choice among other horse riding destinations in Europe. There are trails for beginners as well as advanced riders. Tuscany is one of the places you must visit while you’re on Italian horse riding holidays. It has wonderful hillsides and you get to go to Pisa, Florence, and Siena. The Maremma Park Trek is ideal for nature lovers. You can also opt to go to one of the beaches in the region. Portugal. If you are planning your horse riding holidays in spring or autumn, then head to Portugal. Large areas of the country have remained undiscovered by tourists and one of the less crowded horse riding destinations in Europe. The country has something for everyone. Algarve provides one of the best ranch holidays in Europe. Beginners and advanced riders alike are welcome. You can also go to Costa Azul and ride on the Bottlenose Trail that is named because of the dolphin sanctuary around the mouth of Rio Sado. Advanced riders can explore the area and go to deserted beaches. 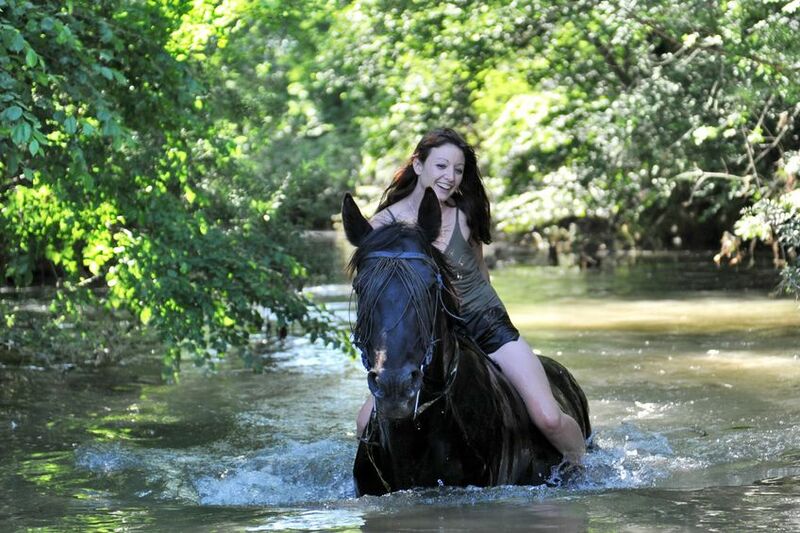 If you are looking for luxurious horse riding holidays, then head to the Dolphin Coast trail.